GREENERY, the PANTONE Color of the Year, is a zesty yellow green color symbolizing spring, life, and restored energy. This vibrant, yellow green crème nail polish celebrates the essence of natural beauty, pursuit of passions, and vitality, in a travel-friendly fashion-size bottle. 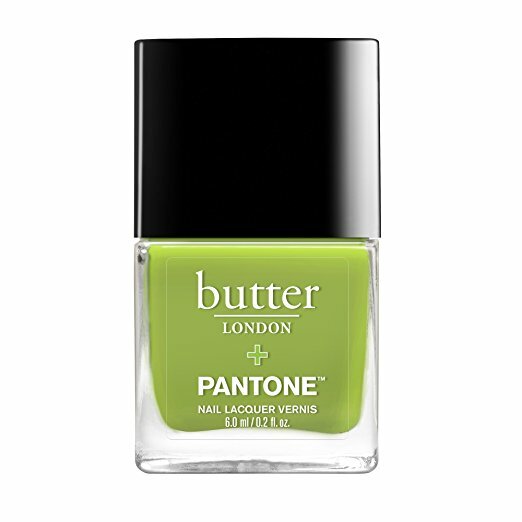 Butter LONDON and PANTONE, the global color authority, combined forces in an uplifting color collaboration inspired by GREENERY, the PANTONE Color of the Year. Say hello to wildly luxurious color infused with good-for-you ingredients and pure ebullience.